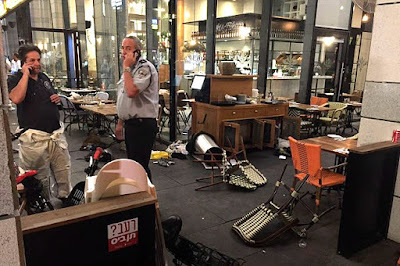 The victims of the Sarona Market attack are said to be:1. 42-year-old Ido Ben Ari, a former commando in the IDF’s elite Sayeret Matkal unit. 2. 39-year-old Ilana Neve, whose family requested that the media not cover her funeral. 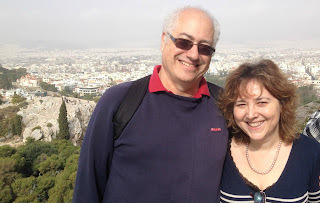 Dr Michael Feige pictured very recently in Athens. It should be noted that at least 7 of the Arab hijackers said to gave been killed on 9 11, were found to be still alive after 9 11. The BBC found that the 9 11 Hijackers are alive and well. Did Palestinians celebrate the June 8 Tel Aviv attack, or, were they simply celebrating night-time during Ramadan? Initial reports indicated that ‘the two shooters’ were dressed as ultra-Orthodox Jews. Terrorists ‘were acting like any regular customer’. At 29 seconds, it all looks fake. The gunmen don’t seem to be shooting anyone. The man in the blue T shirt looks like he is trying to deliberately knock things over. Eye-witnesses said that ‘the terrorists’ were dressed formally, wearing suits, ties, white shirts and black trousers. Above we see the ‘secret’ tunnels underneath the Sarona shopping complex. 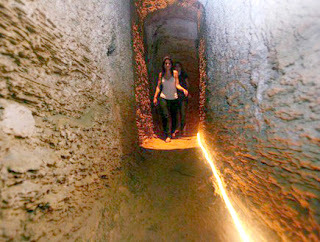 These tunnels have been used by the Israeli military. There is a suspicion that this attack at the Sarona complex was an inside-job, false flag. Do the Israelis carry out False Flags? Someone carefully knocked over a few chairs? 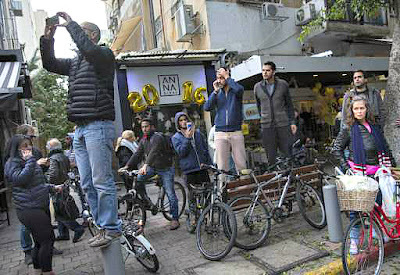 There was a shooting in Tel Aviv on 1 January 2016. The gun, allegedly used by the alleged killer Nashat Milhem on 1 January 2016, had been taken into police custody BEFORE 1 January 2016. ‘Gun used in Tel Aviv attack was previously confiscated by police’. The suspect in the 1st January 2016 attack. Tel Aviv gunman shot dead after a week on the run. 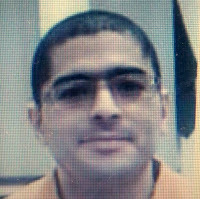 Police sources have said that the Tel Aviv shooter is an Arab from the Wadi Ara in northern Israel, aged 29. The police say that the shooter’s father had recognized him from security footage of the attack, and had apparently called the police. 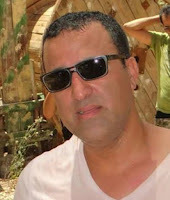 Sami Milhem is a a relative of the suspect, and has served as the suspect’s lawyer. Sami Milhelm says that the father of the suspect is a police volunteer. Police have said that a copy of the Koran was found in the shooter’s backpack. 2 killed, 7 wounded in Tel Aviv shooting attack./ Manhunt underway for terrorist day after Tel Aviv shooting rampage. Sami Melhem has told Israeli television that the suspect is emotionally unstable and not an adherent of ISIS. “He is not sane. Lately he has been wandering around in a strange manner,” Melhem told The Jerusalem Post’s Hebrew sister publication Ma’ariv. The suspect was known to the security authorities. Manhunt underway for terrorist day after Tel Aviv shooting rampage. /Suspect in Tel Aviv shooting. On 11 December 2015 Rami Adeeb Milhem, 22, was kidnapped by the Israeli military. Soldiers Kidnap Eight Palestinians In Tulkarem. Israeli police are investigating if the Tel Aviv shooting, of 1 January 2016, was the first terror attack inspired by ISIS. On 31 December, a tweet was posted warning of an attack on the street in Tel Aviv. The tweet claimed to be representing ISIS. ISIS is believed to be run by Mossad, the CIA and their friends. The shooter in Tel Aviv. 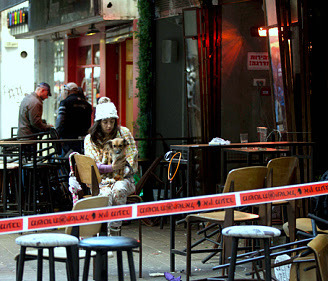 Two Killed, Seven Wounded in Shooting at Tel Aviv Pub. The Tel Aviv attacker is described as being light skinned. 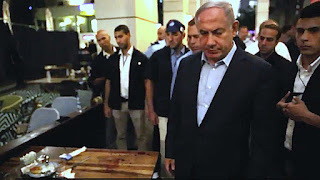 Israel needs to pretend that ISIS is not a tool of Mossad?